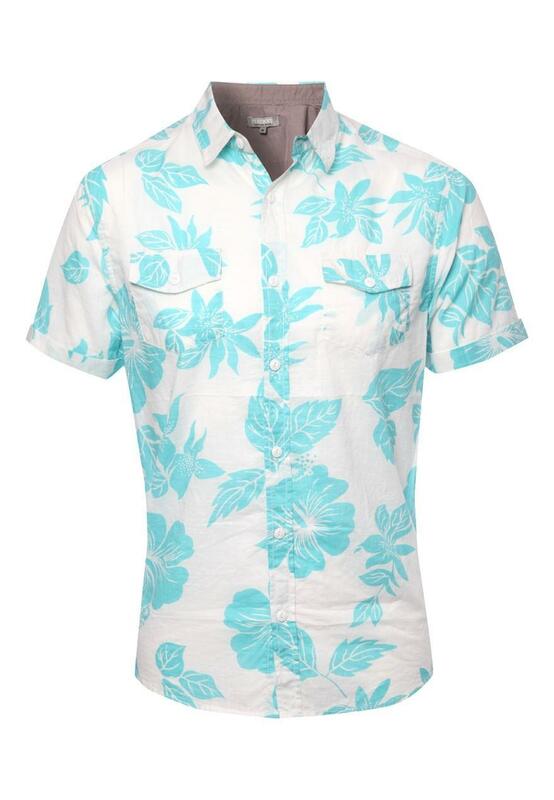 For a taste of the Tropics a Hawaiian shirt will get you into holiday mode every time. 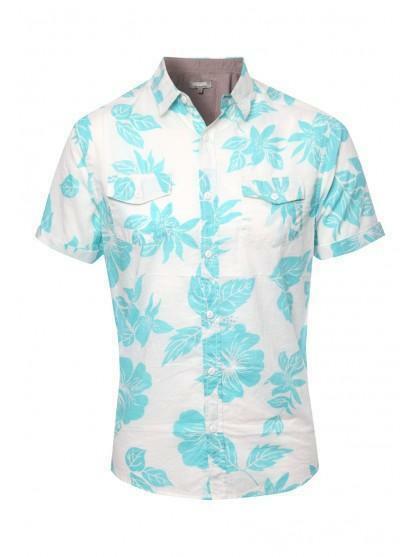 This tasteful turquoise and white style, with an understated floral motif, is bright without being brash. Looks great paired with a simple straight leg jean for a playful evening outfit.